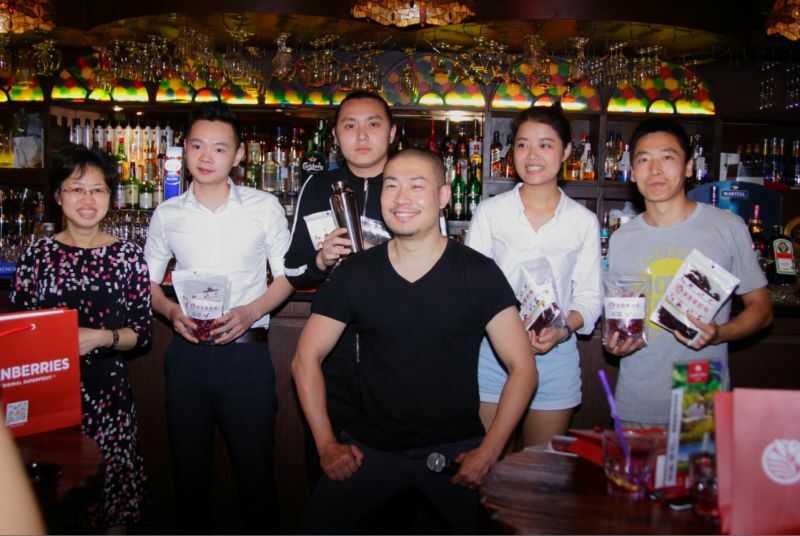 On the afternoon of June 26, 2015, nearly 45 Southwest China bartenders and mixologists gathered at the Calio&Bar in Chengdu to learn about U.S. cranberries and how to make creative, health-functional cocktails. The Cranberry Cocktail Masterclass was the first to be held in Chengdu following three highly successful ones held in Shanghai and Guangzhou in 2014 and 2015. At the opening reception, guests were welcomed with a special cranberry punch, and remarks by the Director of ATO Chengdu, Mr.Morgan Hass. Following Mr. Morgan’s welcome, attendees heard from Mabel Zhuang, CMC representative of the U.S. Cranberry Marketing Committee (CMC), the unique health benefits of cranberries, their diverse product forms and applications in cooking and mixology. Master mixologist, Eddy Yang, gave a detailed introduction on cranberry’s applications in mixology using various product forms including juice, cocktail mixers, frozen, and dried cranberries. Yang demonstrated these applications by preparing 4 types of cocktails: no alcohol, low alcohol, classic cocktails, and unique cocktail creations. 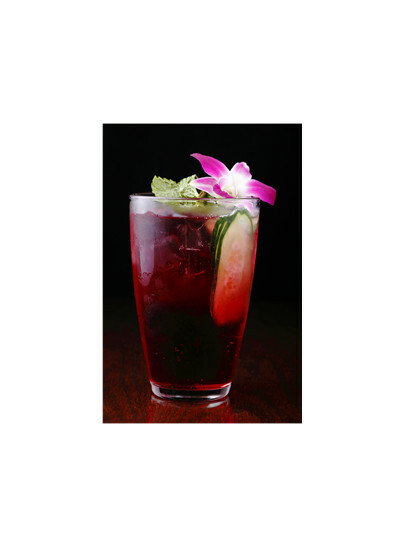 After his demonstrations, Yang invited volunteers to a competition with their own cranberry cocktails. Four bartenders from renowned cocktail bars in Chengdu took to the stage to show their skills and creativity and earned big applause from the audience. DRiNKmagazine posted the event on its official Weixin account, receiving a total of2,353 hits. Based on the success of this and previous cranberry cocktail masterclasses, CMC plans to take the event to other second tier cities to spread the excitement about cranberry mixology in the future.